Achieve dramatic improvements in data efficiency, availability, complexity, and costs with purpose-built data management and storage capabilities. Virtualization offers significant benefits, but without a cohesive, centralized approach, it can also lead to complicated resource silos, multiple management interfaces, and policy misalignment. HCI can help you avoid the downsides of virtualization, regardless of the size or virtualization maturity of your organization. Rapid proliferation of applications and the increasing cost of maintaining legacy infrastructure causes significant IT challenges for many organizations. With HPE SimpliVity, you can streamline and enable IT operations at a fraction of the cost of traditional and public cloud solutions by combining your IT infrastructure and advanced data services into a single, integrated all-flash solution. Minimize your data center footprint. Reduce your server and storage hardware by 10:1. Protect your data with built-in, end-to-end data protection and recovery. Reduce costs and introduce simplified management and security by implementing VDI/Centralized User Computing. Retain Maximum performance, protection and control of your own data by implementing a private or hybrid cloud. Save 90% capacity across storage and backup combined. Complete a local backup or local restore of a 1TB VM in under 1 minute. Back up, restore, move, or clone a VM from a single console with three clicks. Create or update backup policies for 1000’s of VM’s across dozens of sites in under 1 minute. Add or replace SimpliVity Omnistack systems with zero downtime for local or remote sites. Garner 73% TCO savings compared to traditional IT infrastructure. Rapidly scale to 1,000 VMs with peak and predictable performance. Reduce recovery time from days or hours to just minutes. Add HPE SimpliVity Hyperconverged Infrastructure today! Hyperconverged Infrastructure is the future of Hybrid and Private Cloud. Find out how HPE Simplivity can help streamline your business IT Infrastructure today. Contact SymQuest at 1-800-374-9900 or email info@SymQuest.com to learn more about HCI, and other IT offerings for your growing business. Not ready to take the leap? 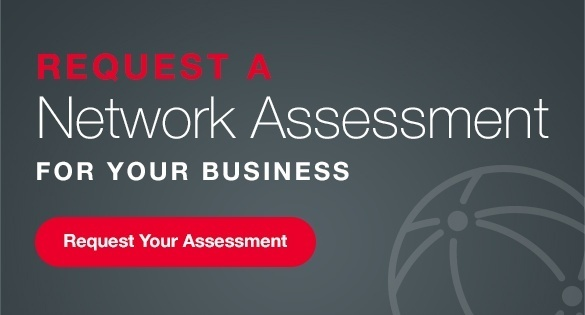 Click on the image below, or email info@SymQuest.com to request a Network Assessment of your entire IT infrastructure. Connect with our Professional Services Team to determine your exact business IT needs.